Natural Amethyst cabachon focal piece dripping with leaves. 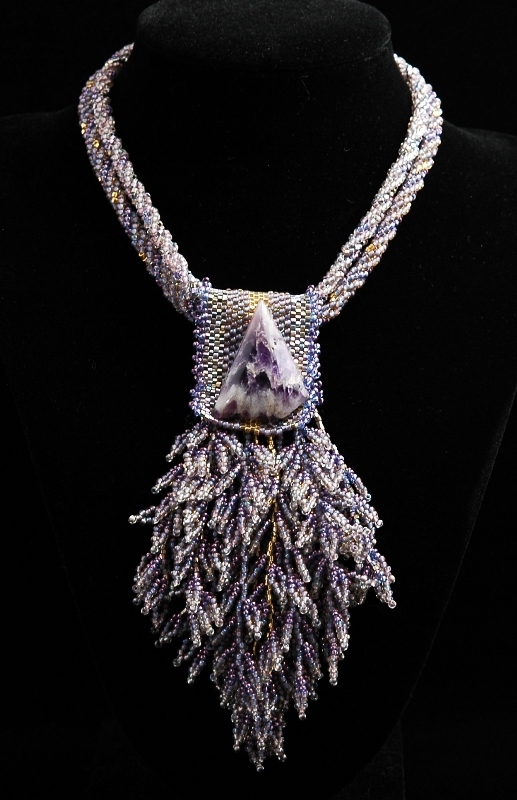 Hand-woven focal and necklace were made of Japanese glass beads, including 22K gold and 22K gold with patina beads. Bead weaving is an ancient form of jewelry making, requiring skill applied over many, many hours of patient work. Each piece of bead-woven jewelry is a unique piece of art. 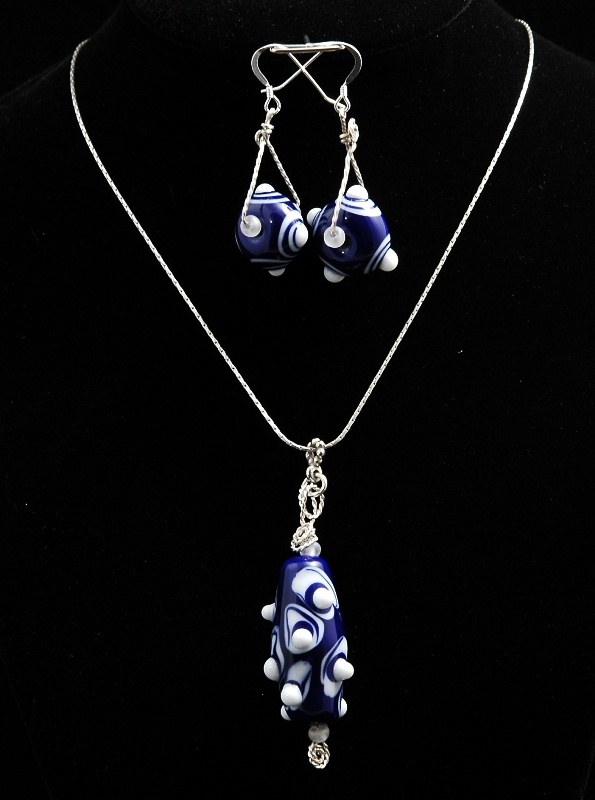 Lampwork beads from the GF studio, wire-wrapped in Sterling Silver. Necklace hangs on a 17" Sterling Silver chain.